Handle made of folded nickel-plated steel. Carbon steel blade, not rustproof. Double-bevelled, hardness 62 HRC. 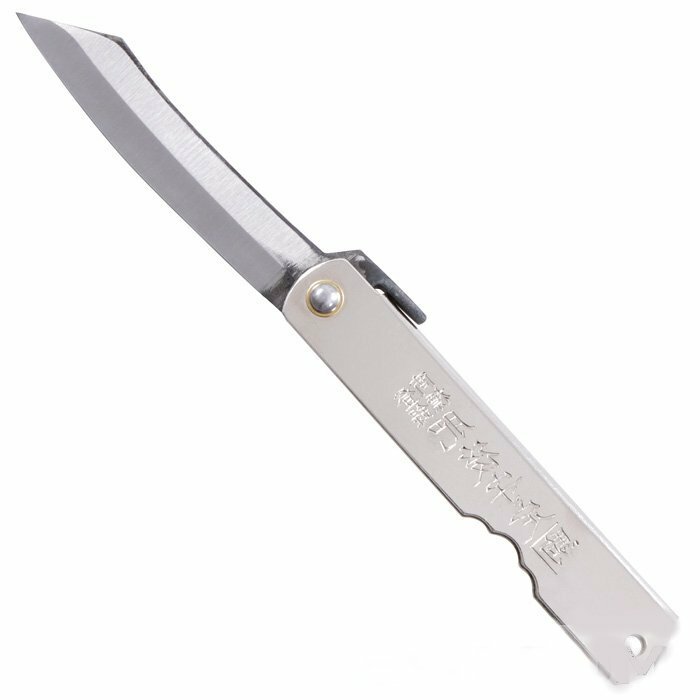 Until two decades ago, nearly every young man in Japan owned a Higonokami pocket knife. It has been manufactured in the traditional manner for over a century. The blade is set in a handle without locking mechanism and is opened using the lever tang.